Augmented reality promises to rescue dying museums – so why don't visitors want to use it? Museums are often perceived as dusty cabinets full off dead and ancient things, especially those institutions you've never heard off. You know the ones, the neglected pride of county towns that could play a vital cultural and social role but struggle for funding. But sadly our experience suggests visitors just aren't keen on downloading these apps. So is there another way technology can help revitalise musuems and similar attractions? We are working on a project called PalaeoGo! that explores how museums and parks can be enhanced by augmented reality, 3-D digitisation and new search engines. Our first foray with augmented reality was at White Sands National Monument in New Mexico, US, using a smartphone app called Zappar to support research undertaken there. Using the phone's camera to scan a code on a notice board or flyer brings forward a 2-D computer-generated image superimposed on the phone's live camera feed. Users can see a troop of mammoths walk over the horizon with the real landscape behind, or have their selfies taken with a mammoth. 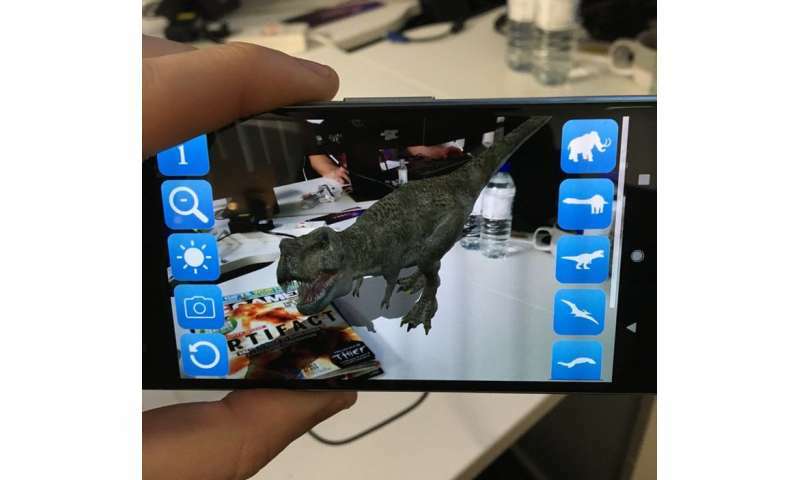 We've since created our own free app that recreates augmented reality dinosaurs and other extinct reptiles and mammals in 3-D, without the need to scan a code. But when we first deployed the app at a museum, in summer 2018 at the Etches Collection on Dorset's Jurassic Coast, it challenged our thinking. In fact, it stopped us dead. When we had staff on site to show people what was possible with our own tablets and phones, the technology had an impact and people were excited to see it in action (although they did not always download the app). But no one engaged when we relied on posters and banners to encourage visitors to download and use the app. 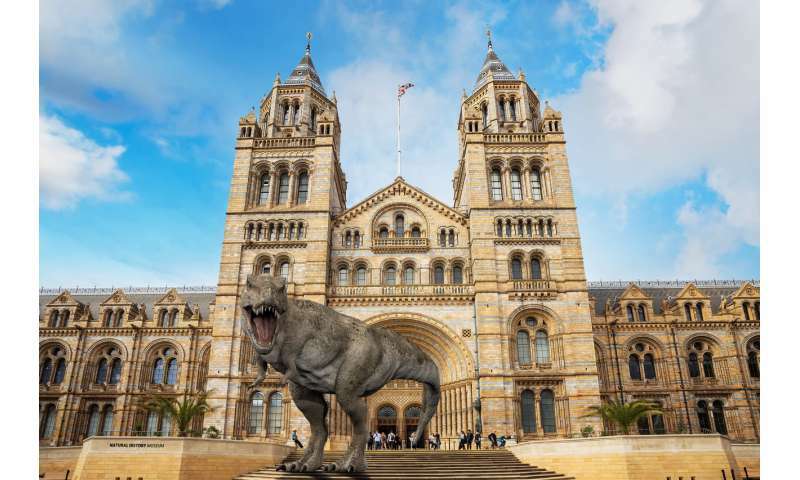 We failed at the first step, not due to a lack of interest in the technology or in the 3-D dinosaurs deployed, but due to the fundamental reluctance of visitors to download museum apps. We have since found this experience to be shared by others, such as Skybox Museum, who also struggle to get visitors to download their app deployed at their site in Manchester. In fact, the feedback we've received so far suggests that simply getting people to download a museum app, rather than a problem with the underlying technology, is the biggest obstacle to its success. So when you're asked to download an app at the doors of a museum, the default position is to decline. It's a hard sell, especially if you have children in tow. Promoting the app in advance helps but, even if you overcome this reluctance, people still want a guarantee of fun. What's the answer? Games are an obvious possibility. Which regular museum visitor hasn't seen a horde of children with clipboards on some form of quest or hunt? Promising a fun game is perhaps the key to getting children to try the augmented reality we know can change a museum experience. The alternative is to make such resources available without an app, and we are exploring this. One solution might be to enable visitors to access it through their phone's internet browser or via a standard QR code. Another idea we are trialling is to preload the technology onto a tablet hired like an audio guide at a museum's entrance. As the software doesn't need downloading it can be more complex, for example using locational technology such as GPS that can prompt the user to activate the device at a given spot and offer content tailored to their visit. But this would make social interaction and downloading those fun-filled selfies harder. We believe that technology has much to offer the museums of the future. In fact, we would argue it's essential to their survival. In particular, mixed reality, a form of enhanced augmented reality where real people and objects are displayed in virtual worlds, has some exciting potential to create immersive, engaging and educational content. But for once, the smartphone may not hold the key.